Taking Print Further. Kodak Hosts Print’s Future. Kodak hosted 220 printers, analysts, press, and industry influencers to its inaugural Taking Print Further event, held from February 28 to March 1, 2018 at the Kodak headquarters in Rochester, NY. 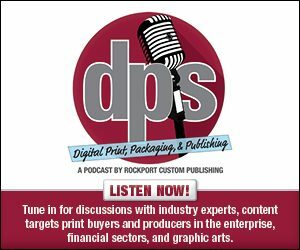 The two-day event featured keynote presentations and panel discussion centered around print industry market trends and the future of print. Attendees were also invited to the Kodak Center for product demonstrations of Kodak’s latest technologies, including the recently announced Nexfinity digital press platform and Sonora X Process Free Plates. Above: Kodak held its first Taking Print Further event in Rochester, NY from February 28 to March 1, 2018. The event focused on print industry market trends and the future of print. The event kicked off with Brad Kruchten, president, print systems division, Kodak, highlighting the company’s continued commitment to the printing industry. With 85 percent of the company’s revenue and 100 percent of its earnings deriving from print, Kruchten says Kodak’s print systems division is the largest, most profitable Kodak unit including profitability earnings from plates, CTP, and Nexpress platform. The company announced that print remains relevant, differentiated, and value-creating in today’s hybrid world of digital communications and printed content. Kodak believes in the growth potential of print beyond images and text. In its enterprise inkjet systems division, Prosper annuities grew 15 percent year to date, year over year. Additionally the Ultrastream received its first order from an OEM partner. Scheduled for release in 2019, the Ultrastream is an inkjet writing system designed to move production inkjet into mainstream commercial printing, labels, packaging, and home décor. Compared to Q3 2017, the company noted that its packaging and digital license sales increased 14 percent. Further, Kodak Prinergy Cloud Services, launched in Q1 2017, closed over 30 deals, according to Kodak. Prinergy Cloud is hosted by Microsoft Azure and delivers cost saving automation capabilities deployed quickly and affordably. Prinergy Cloud features decision analytics, dynamic print planning, and file archive and backup. The Kodak advanced materials and 3D printing technology division recently completed its production facility for manufactured light blocking materials. The company also produced hundreds of specialty films for 3D printing partners requiring high optical transparency. It announced consolidation plans in Q4 to increase focus and reduce investment in this segment. Kodak also emphasized its partnership with print providers across the globe to promote literacy through its Print for Good Program. Launched at drupa 2016, the program has placed 30,000 books and school materials in children’s hands throughout Asia, Europe, the Middle East, and the U.S.
Keynote speakers included Frank Romano, professor emeritus, Rochester Institute of Technology; Tad Carpenter, designer and co-owner, Carpenter Collective; and Tom Cavanagh, COO/VP, advanced materials and 3D printing, Kodak. The Taking Print Further event hosted the launch of the five-color Kodak Nexfinity press. The platform is based on Nexpress digital printing technology and is designed to offer more production, higher quality, and support for additional substrates than the existing Nexpress portfolio. The press handles sheet sizes up to 14×48 inches and includes four standard feeders for an 11,000-sheet capacity. It features new LED imaging technology that delivers 256 density levels per pixel. Delivering speeds up to 152 pages per minute, the Nexfinity writing head system utilizes LED technology and delivers resolution of up to 1,200 dpi. The writing system enables press speed adjustments based on paper stock and job features. Dynamic imaging technology automatically optimizes images in real time with proprietary computational screening algorithms. The press’ high-resolution writing system and screening algorithms tighten control of dot sharpness, boosting quality and consistency for long runs. The Nexfinity has capability for light black, gold, and opaque white dry inks. Its fifth station is easily interchangeable and features the ability to run white first. It has the capacity to create digital enhancements like clear watermarks, dimensional, gold, light black, and opaque white. “With the Nexfinity press, printers get a robust digital printing platform that delivers offset quality while driving down costs and equipping them with the flexibility and speed to handle an expansive range of applications for customers, whether it’s an order for a few hundred or millions of impressions,” says Chris Balls, GM, equipment and VP, print systems division, Kodak. The Nexfinity is intended for print providers with monthly impressions over one million. It produces business documents, commercial print, direct mail, packaging, photo applications, prototypes, publishing, retail signage, and small format packaging. The press handles up to 24 pt. paper substrates and 14 mil synthetics while saving ten percent on paper costs by eliminating the need for special digital papers. A straight paper path extends compatible substrates including paper, glossy coated labels, paper-backed transparencies, magnets, photobook paper, synthetics, and pre-perforated and scored specialty stocks. On-board paper registration sensors, algorithms, and an inline densitometer automatically adjusts and monitors image density to ensure sheet-to-sheet image registration quality. Recycled substrates are also compatible and printed sheets are certified as de-inkable by Ingede. During the event, Kodak announced that two Nexfinity presses were recently purchased by Fotofabriek in Groningen, Netherlands. Fotofabriek is an advertising agency and digital printing company that served as the Nexfinity beta site in Europe. “The Nexfinity press offers awesome quality, consistency, and color uniformity that will allow even better products at more competitive pricing. With its long sheet option at 120 cm, we will be able to expand our photo offering by making beautiful lay flat albums, and with the ability to run thicker substrates we see the possibility to add new products for the retail market, like boxes and cardboard signs,” offers Stephan de Vries, CEO, Fotofabriek. The Nexfinity presses are powered by the Kodak Nexfinity front end. Its Multi-Press Station allows press operators to handle multiple jobs on up to four Nexfinity presses. The digital press is available in Spring 2018. Kodak’s first Taking Print Further highlighted Kodak’s staying power as an imaging company. With the Nexfinity press, Kodak demonstrates its continued commitment to the printing industry and drives its technology into longer production runs while maintaining cost and sustainability. “We will invest approximately $90 million building new print solutions including factories, expansions, processes, and products. We have never had a product set as complete as now,” says Jeff Clarke, CEO, Kodak.